All right, raise your hand if you’ve had this experience. During a family car ride, your mom or dad would turn up the radio and sing along – a little too loudly – to the music they loved as a teenager: classic rock. Maybe it was Bruce Springsteen, maybe the Rolling Stones, maybe the Eagles. Although I might not want to admit it to my parents, a lot of this music has stayed with me throughout my life and provides a nice break from today’s oft-auto-tuned pop offerings. For this column, I want to explore these musical roots. This is in no way a comprehensive list of the best classic rock songs. Instead, I will highlights songs that I’ve been listening to at the moment. With that said, here are three of my favorite classic rock and roll songs. The first song on my list has made a comeback recently due to the popular Netflix show, Stranger Things. “Should I Stay or Should I Go” by the Clash plays in one of the first episodes of the first season. Stranger Things, which is set in the 1980s fictional town of Hawkins, Indiana, is known for its nostalgia. This nostalgia has exposed a whole new generation to the Clash’s hit single. One thing I love about classic rock is the amount of guitar highlighted in each song. “Should I Stay or Should I Go” pairs raunchy guitar riffs with a solid, catchy drum beat. The song shifts tempo from the verses into the chorus, creating an effect that keeps the listener guessing. The vocals are shouted in punk-esque style, highlighting the band’s origins as a part of the first wave of British punk. The song is a great addition to a throwback playlist, and it should keep you going through these brutal weeks before Spring Break. Another song I listened to growing up is “Uptown Girl” by Billy Joel. Frankly, any Billy Joel song could make this list. Billy Joel is arguably the quintessential classic rock artist. He has sold over one million tickets at Madison Square Garden, setting the record for any single artist, and he will be performing his fifty-fifth consecutive show in August during his musical residency at MSG. Of all his songs, however, “Uptown Girl” is one of my favorites. 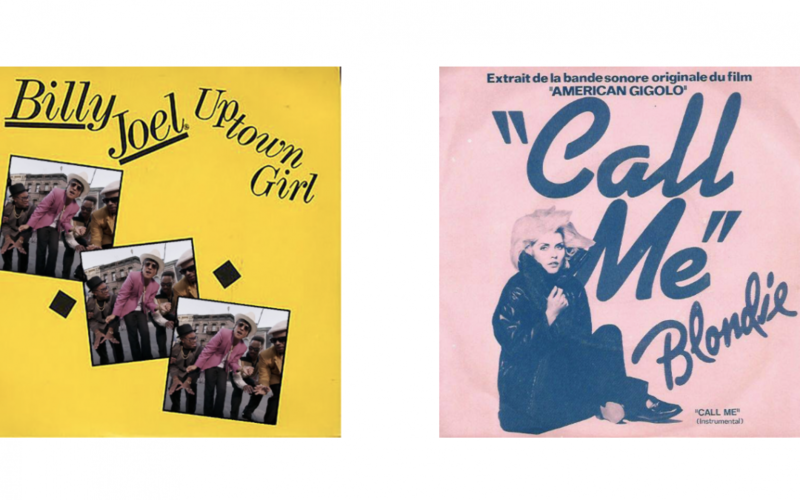 Anyone who claims “Uptown Girl” isn’t catchy is lying; the rhythm is infectious and conveys the song’s status as a cheerful earworm. The song is playful and light; it stands in perfect contrast to “Should I Stay or Should I Go.” Nostalgic vocals back the lively chorus, giving the song a danceable beat. The last throwback song on my list is “Call Me” by Blondie. Showcasing the vocals of female singer Debbie Harry, Blondie was among the first bands to show that girls could rock and roll alongside the guys. A quintessential eighties band, Blondie’s other hits included “One Way or Another” and “Heart of Glass.” “Call Me,” which was Billboard’s most popular single in 1980, pairs girly pop vocals with a steady and tempestuous drum beat underneath. The vocals are certainly part of the rock genre; the song, like “Should I Stay or Should I Go,” prioritizes instrumentals over vocals, which is common among classic rock songs. The simplicity of the vocals and the driving beat gives the song its iconic reputation. I hope these three throwback songs will provide you with a little nostalgia and encourage you to listen to classic rock. In our modern era of auto-tune and rap, it’s always nice to hear the bands and singers who put the era of popular music into motion. Happy listening!